WHAT: OOPS! March 2012 Paint Out organized by Ellen Elder. WHERE: Soundside Park in Surf City... Soundside Park, 517 Roland Ave., Surf City, NC, 28445... park is next to the famous Surf City Swing Bridge (bathrooms and picnic shelters on site). A plein air painters HEAVEN! Don't miss this one! 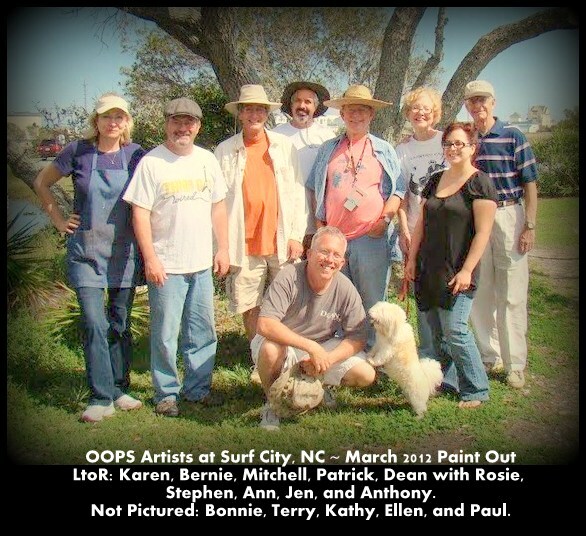 "Paint Out in the Park"
Sign in at Soundside Park in Surf City at Noon. April 13th through May 8th!